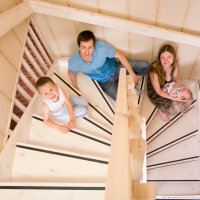 If you've built enough equity in your home, you can use it to secure a line of credit. This type of loan gives you flexibility to use and re-use the funds as the need arises. Cover large purchases, make emergency repairs, or go ahead and take a vacation. Your home is your greatest asset - put it to work for you the easy way!